A brilliant article regarding the difference between superconscious energies and The Self – the immovable point of pure consciousness and Will. Clear definitions of the “I” and the process of Self-realisation. Perhaps the greatest confusion in dealing with the higher realms of human nature is the lack of a clear understanding of the distinction between the superconscious and the Self. Such a distinction can be made. It will be of much practical help to those who want to understand their own experiences, and who seek a clear direction, with stable and recognizable landmarks, along the transpersonal dimension. Let us begin with the superconscious. Strictly speaking, “superconscious” is just a term to designate the higher, spiritual, or transpersonal region of the psyche. See diagram. In it various psychological functions, processes, and energies are to be found, just as in the personality, although in the superconscious they can display much greater activity and diversity. So the difference between the superconscious and the personality is one of level, not of nature. And superconscious experiences consist fundamentally in becoming aware of the activity which is going on in the higher levels of the human consciousness. For example states of ecstasy, of joy, of love for all living creatures, reported by many mystics, impulses to self-sacrifice of the herd, creative flashes of the artist, all belong to the higher levels of the superconscious. Instead the Transpersonal Self is basically “ontological”. Onthos means being – which is not process, which is something standing in itself. To make a very simple analogy, the Self is like the pivot point, or hinge of a door; the door swings, but the hinge remains steady. Yet, the Self is not only the focal point around which the many superconscious processes occur; it is also the cause of those processes, and the source of the energy that makes them possible. So the Self is the unchanging, enduring reality; a stable center of life on its own level, which has functions but is not a function. The key thought is in the Gita: “Having pervaded with one part of myself the whole universe, I remain”. What “remains” is the Self on its own level. Yet while it remains there, it can pervade and is pervading the whole universe of the personality, and this it does through the superconscious. We can get a feeling for this apparent paradox if we consider the analogy of the electric power system in our large cities. At the source – the generator, situated in a remote location – there is electricity of a certain intensity, or voltage. This electricity pervades the whole amazingly complex and intricate power network of the city, and is suitably stepped down in voltage along the way by means of transformers, but the intensity (voltage) at the source remains stable and unchanging. And an unchanging -voltage is found also at all power outlets in every home. Yet the current, the stream of electric energy, which flows along the wires to energize a multitude of machines, appliances, light sources, etc. constitutes a vast and continually changing process which pervades and animates the city. From another point of view, it is as if the Self were the sun. The sun does not move relative to the earth. It is at the center of the solar system, and remains there. But it pervades the whole solar system with its radiance, and at the same time sustains it and holds it together through its attractive force. So the pure experience of the Self – of contact and eventually of identification with the Self – is very different from superconscious experiences or expanded states of awareness. We can begin to grasp this difference through a basic and most important analogy: The Self is to the superconscious as the “I”, or personal self, is to the elements and functions of the personality, with the difference that the “I” is often identified with the personality elements, while the Self is not identified with the superconscious. The experience of the Self might be reached in the measure in which the “I” – which is a projection or emanation of the Self – ascends toward the Self, identifies with it, and is temporarily absorbed into it. So the first step toward the experience of the Self is to achieve the experience of the “I”. The “I” is the personal center of awareness and will. It is the observer and the director, and is distinct from the contents of consciousness. To reach it, one must first disidentify from feelings, thoughts, desires, drives, sensations, impulses – from the myriad contents of the personal consciousness. In other words one must relinquish the mistaken sense of being any of them. This of course does not mean in any way to abandon or suppress any of the personality functions. On the contrary, rather that being identified with, and therefore following, one or a few of them at a time, according to their whim, one can now direct and regulate them at will, and utilize any or all of them, at any moment, as means of expression in the world. In the measure in which the “I” succeeds in releasing itself from those mistaken identifications at the personal level, it becomes able to ascent, through the superconscious or transpersonal realm, toward the Self. (See diagram, fig. A.) During this process there can be an increased intensity of the sense of identity; of self-awareness, due to the closer proximity of the Self, as well as the awareness and experience of the superconscious processes. One of these two experiences will be prevalent, depending on the psychological type. For example, using the septenary classification mentioned in The Act of Will (3), the experience of the superconscious will be generally prevalent in the “love/illuminative” type and the “aesthetic/ creative” type, while the increased sense of identity is likely to be the most salient in the “Will/power” type, the “scientific/rational” type, and to some extent, in the “active/practical” type. This is a basic; one could say “constitutional” difference. But the relative prominence of the two experiences can also change in the same individual at different times depending on a number of factors, for example the particular stage of development, or as a result of deliberate activity undertaken for that purpose, such as specific meditation exercises. If the experience of the superconscious is stronger than the sense of self-identity there can be identification of the “I” with the contents of the superconscious, just as on a previous turn of the spiral there was identification with the contents of the personal consciousness. This identification with higher and higher aspects of the superconscious is useful, as it can constitute a ladder toward the Self, and thus it represents; for many people, the path of least resistance and the most appropriate path. But to have a true experience, even a beginning one, of the Self, it is necessary to disidentify also from the superconscious. And that is very difficult, for transpersonal states of awareness are so joyous, so alluring that one may become attached to them and enmeshed in them. Maslow has called this “higher sidetracking”. These peak experiences are beautiful and often “ecstatic”, and if properly understood and assimilated can be of real value, but they are not the pure experience of the Self. It is interesting to observe that the danger of overattachment to the superconscious has been recognized more or less explicitly by many spiritual teachers of the past. In order to avoid the danger of “higher sidetracking”, a. number of approaches to spiritual development has been adopted on the strategy of completely and deliberately turning away from the superconscious. In the language of the Christian mystics where the “soul” is the emotional aspect of the personality, “God” is the Transpersonal Self and the “Visions” relate to the superconscious, the emphasis against visions is well known. Similar attitudes exist in the East, for example in many forms of Zen Buddhism. This attitude may well have been the most appropriate one in the past, where little psychological knowledge was available and much confusion existed concerning the higher realms of man. But it does not utilize the convenient bridge to the Self which the superconscious offers, and thus results in an unnecessarily difficult, “austere” path, which only few are able to follow to the end. And as we have seen, the Self needs the superconscious as its vehicle of expression, just as the “I” needs the personality as its instrument in the world. So if the superconscious is consistently neglected in the ascent toward the Self, later on time and effort will have to be spent in exploring and developing it. And when the superconscious is not sufficiently developed, an intense experience of the Self can produce ego inflation and disorientation. On the other hand if the opposite extreme is followed, of drifting into the superconscious without having developed an adequate sense of self-identity, one runs the risk of getting lost in it, and eventually regressing to the level of undifferentiated “mass consciousness”. These two extreme conditions will be considered again later on. 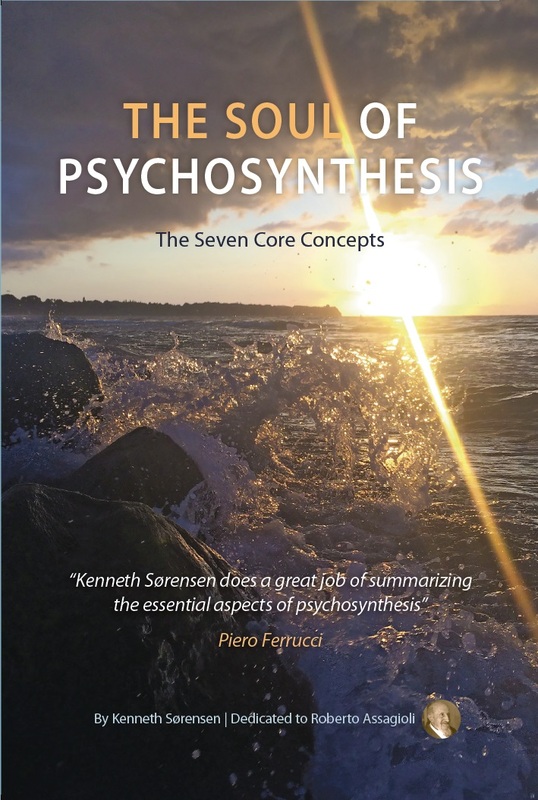 Here I would like to stress the validity of a basic principle of psychosynthesis, that “we can benefit from, and utilize every function and element of our psyche, provided we understand its nature and purpose, and place it in its right relation with the greater whole. So provided we have an adequate- roadmap and are aware of the pitfalls we can find along the way, then a balanced emphasis on the development of self-identity and on the awareness of superconscious processes will lead to our most harmonious, joyful, and effective development in the transpersonal realm. As we have said earlier, one or the other will normally be prevalent, depending on a number of factors; the point is to avoid a condition of excessive one-sidedness. This is often produced unwittingly by keeping our interest focussed on the side that is most developed – and therefore richer and most interesting – thus developing it even further. But we can also “feed” the least developed aspect, by deliberately focussing on it the energy of our interest and our attention. In practice this is often easier to do for the superconscious than for the Self. Because of the transcendent nature of the Self; which is quite beyond our normal range of experience – and therefore beyond the power of our imagination – we often form our concept of what the Self is like on the basis of superconscious experiences. Such a concept is necessarily erroneous and distorted. And later on it often happens that we will believe to be in touch with the Self while we are actually still experiencing some of the higher aspects of the superconscious. Some indications can be given to avoid this confusion, but we must keep in mind that it is quite impossible to describe the experience of the Self in more than the most peripheral fashion. In the attempt to indicate what is ineffable, beyond words, various terms have been used: Atman, Tao (in its transcendent sense), The Void, Suchness, the Immovable Mover, The Omega Point. The experience of the Self has a quality of perfect peace, serenity, calm stillness, purity, and in it there is the paradoxical blending of individuality and universality. The Self experiences universality but without “losing” itself within the vast Universal Self. It remains at the center, immovable. One way we can begin to realize this is by opening ourselves to the experience of infinity. For we can have the awareness of infinity, the perception of infinite space, without losing our sense of individuality. That is, it is the conscious “I” who has the perception and the experience of infinity. Infinity IS … and man gropes to a feeble but increasingly profound realization of its existence. The same can be said concerning eternity. And the experiences of eternity and of infinity – of transcending the limitations of time and space – combined, lead to their synthesis, the experience of universality. ” …. It’s like a loop of white light …. It’s very bright without glaring … you can look directly at it. .. It’s beautiful. (Guide: Let it slowly come nearer … let it become one with you). Yes. Yes, I have. That’s what I am! I can see it very much clearer now. It’s spinning very, very fast … that’s a very important thing to me … it revolves around a point of white in the center … absolutely white … and I can go into the white dot, and if I do, it goes out, and its like free faring through the universe. I can go anywhere, the stars are all inside the white dot, everything is inside the white dot. 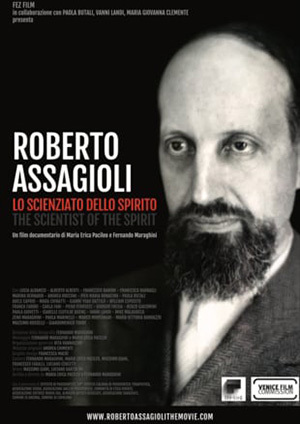 It is important to point out that although this subject was quite advanced, at the time of this experience he was quite naive concerning the superconscious and had not yet been exposed in any way to the concept of the Self. Yet we can easily recognize the fast spinning loop of light as a symbol of the superconscious, and the central point as a symbol of the Self. As the experience progresses, first there is identification with the superconscious (note that it had already occurred spontaneously when the guide suggested it) and this in turn leads to the awareness of the Self, then contact with it, and the consequent simultaneous experience of individuality and universality. I intentionally said contact rather than identification with the Self. Throughout this experience, the emphasis was on processes, movements, and forms. The “point of white in the center”, although having no specific form or colour, was still an image. And the experience was of going through it. So this is not to be considered as a pure experience of the Self, rather as a superconscious experience which culminated in a momentary contact with the Self, and a glimpse – not in any way the full experience – of the synthesis of individuality and universality. As I have said, many who have had even intense transpersonal experiences – experiences full of beautiful and ecstatic feelings, of light, of insight – believe that they have made contact with the Self, while in fact they only experienced the superconscious levels of awareness. In reaching toward the Self it is important to know how to recognize this difference. Anything that has movement, change, activity, direction, boundaries, dimensions, restrictions, limits, or specific qualities of any kind, in other words anything that is less than eternal and infinite that seen from our normal point of view, contains or implies any kind of differentiation, is not the Self! The reader may object at this point that I have not yet said what the Self is truly like. But the transcendent nature of the Self places it beyond the power of understanding of the concrete mind, and consequently beyond the possibility of describing it with words. The only recourse is to describe what the Self is not. This approach has been very popular in the East, where it is called “the way of negation”. Its purpose is not so much to convey information about the Self as to gradually elevate the thinking processes beyond the level of dualities and of concrete thought. In the West this has been habitually misunderstood. Often, when we hear that the Self is changeless, we imagine it to be static; if it has no activity, we conclude that it must be passive; if it has no boundaries, it must be shapeless; if it has no qualities, it must be boring. So if it truly were to contain the whole universe, that universe could only be trivial and repugnant. The Void – the transcendence of bounded space and of all that is contained in space – has been described as terrifying or blissful in different circumstances. (6) This paradoxical nature of the Self is perhaps best stated by the Buddhist formula: “Neither being, nor not-being, nor both being and not-being, nor neither being nor not-being”! So we need to remember that any concept or picture of the experience of the Self that we may have before the actual experience, is likely to lead us astray if we take it as face value. What is important is not to try to understand beforehand what the experience will be like, but to actually have that experience, by first identifying with the “I”, and then as the “I”, by ascending toward the Self and becoming unified with it. To do so we need on one hand to recognize those aspects which are not the Self, thus becoming able to disidentify from them once they hold us back. On the other hand we can increasingly cultivate and develop the sense of self-identity – as the path which leads to the Self – at the same time while opening ourselves to, and realizing as much as possible, the sense of eternity, infinity, and universality, as the aspects which help us proceed along that path. I said before that the experience of the Self has a quality of perfect peace, calm, serenity, etc., but these are not qualities in the normal sense, they are rather states that indicate synthesis, wholeness, unity. So the Self is in reality both the perfect, immutable, inexhaustible source, and the universal, all-encompassing point of convergence, of ultimate fulfillment. It is only in the identification with the Self that we can permanently overcome the innate sense of separateness and aloneness that we have almost come to accept as an inescapable aspect of being human. Identification with the Self gives freedom from all limitations and restrictions of the personal life, and – provided the superconscious is adequately developed – freedom to act in the world at will and as a free agent, according to the perceived need, to transpersonal purpose, and for the greatest good of all. But this very high state is not in any way an ultimate one. It is the culmination of a cycle which leads to the beginning of a new one, just like the seed which germinates in the dark, pushes its way through the soil with great struggle, and emerges in the freedom of a new existence in the light and open space. Similarly by achieving identification with the Self, and the consciousness of universality, we find our rightful place in the greater whole, and in so doing enter a new cycle, that which Eastern sages have called “The Way of Higher Evolution”. We said that in order to have the pure experience of the Transpersonal Self one has to disidentify from that which is not the Self; and that to be able to do so, one has first to have the experience of the personal self – the “I”. As we can see in the diagram, fig. A, the “I” is intimately related to the Transpersonal Self. More precisely, the “I” is a projection or reflection of the Self an outpost of the Self in the world of the personality. It is important to realize this, because the attempt to reach the Self by skipping the “I” is an error, due to a misunderstanding. Many, with the best intentions, and at the cost of great pain, try to “destroy” the personal “I”, the ego. 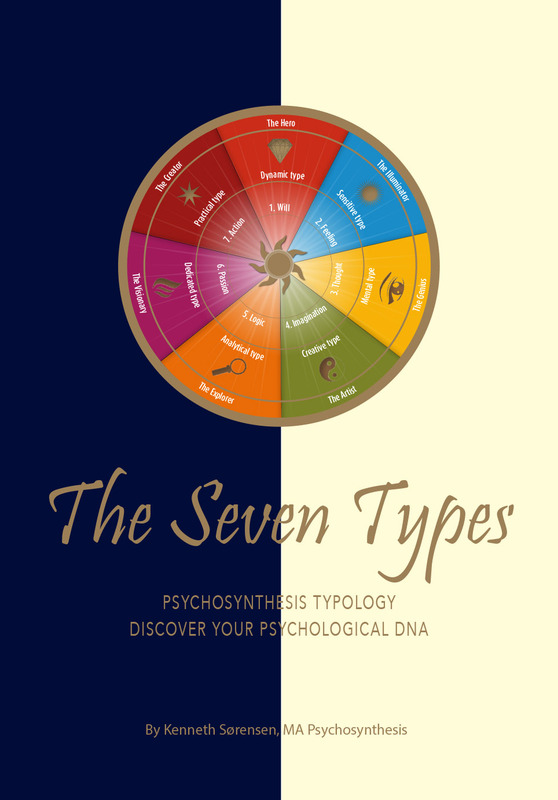 Here we find an important difference between psychosynthesis and various other methods. So the “I” is not to be destroyed. Personal self-identity is precious, It is the result of a long period of evolution, and can not be thrown away. What we have to eliminate is our attachment to it, because the personal self has to be brought back to its source! And, as we have said, this is done through the coordination and alignment of the personal will with the Transpersonal Will, which leads to the reunification of the personal self with the Transpersonal Self. 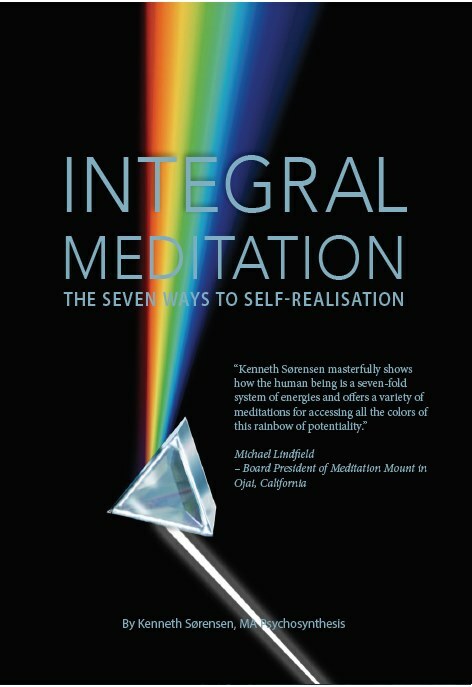 For the “I” to freely align its will with the Will of the Transpersonal Self is a most difficult task and a culminating act, which only a strong “I” with a fully developed will is capable of achieving, and for which all previous acts of will in the world of the personality can be considered, in a sense, as preparation and training. So the unification of the “I” with the Self becomes possible only once the sense of the “I’, of personal identity, has reached a sufficient intensity – and the personal will a corresponding strength – that it can freely and deliberately disidentify from the personality functions and elevate itself sufficiently to elicit a corresponding attractive action by the Self. The reader may rightly object at this point that some people have reported undoubtedly genuine experiences of the Self which occurred more or less unexpectedly, without any conscious effort of the individual. In this case it is the Transpersonal Self that initiates the process. The issue of who initiates and who responds can be misleading. Here I talk from the point of view of experience at the level of the personality, which is necessarily limited and partial. From the view point of the Self – a viewpoint which is not limited by time and space, and is therefore much more true to reality – the reaching of the “I” for the Self, and the attraction of the “I” by the Self, are two aspects of one and the same rhythmic process, and therefore can not be considered separately, rather they can be said to occur simultaneously. Such true spontaneous experiences of the Self are extremely rare, and by their very nature, quite unpredictable. So the fact that they do occur is of profound psychological interest, but of little practical help for the person who is searching for an approach and a path he can follow for his own development in the transpersonal realm. Furthermore such spontaneous experiences are usually of short duration, although their effects can be quite dramatic and beneficial. They typically leave the person with a most intense yearning to “go back”, to return to that state of consciousness. One is then likely to begin an active search for the “way back”. This phase is a crucial – and often a very painful one. It is perhaps during this period that one is most likely to get sidetracked, and to find himself repeatedly at a dead end. Spontaneous experiences are likely to occur with little or no effort, while the person is engaged in totally unrelated activities. But often one will assume unconsciously that it is this unrelated behaviour that caused the experience, and later in the attempt to replicate such experience, one may try to “figure out what he did” that made it happen, and as a result waste much time and go to dangerous .extremes, attempting to reproduce the conditions in which the experience occurred. Or remembering the state of peace, of serenity, of being, which he may have realized at the high point of the experience, he may decide to reduce to a minimum, or suspend, all personality activities, considering them a disturbing element, and antithetical to the state he is trying to reach. Such attempts are increasingly common today, and are the distortion of an attitude which is valid and appropriate at its own level. This right attitude can perhaps be best illustrated by Wagner’s symbolic epic of the Grail. (10) Titurel, the knight, ascends the mountain, with much labour and courage. Then, after having reached the top, spends the night in prayer, asking for inspiration, and waits in silence. In response to this prayer, a host of angels (symbol of the superconscious) appear, and bring him the Cup (the Grail, symbol of transpersonal Love) and the Sword (symbol of Spiritual Power and Will). We see here first the active phase, and then the receptive phase. This sequence is essential. The knight who leaves the world behind him and ascends the mountain with much labour is the symbol of the “I” as it first disidentifies from all personality functions and aspects, and then, with an act of will, ascends as close as it can toward the Self. At the summit a receptive, contemplative attitude is taken, through the techniques of meditation, contemplation, and silence. (11) And this, if executed correctly, can lead to the inflow of the superconscious (which transmits to the personality the needed transpersonal qualities) (12) and later to contact with the Self. So we must first “reach the top”, then assume the proper inner attitude, becoming silent at all levels of the personality, but from a focussed point of tension oriented upward. A common error is to try to suspend all activity before having reached the top, or even before having started to climb. This can make us open to undesirable or dangerous influences, and in any case is a state of passivity that leads to stagnation. The opposite error is to keep trying to climb, or to forget to turn the attention upward, after having reached the mountain top. Then the “noise” of our physical, emotional, and mental activity prevents us from hearing, and tuning ourselves to, the more subtle “sounds” of the transpersonal realms. Again, neither activity nor receptivity is to be rejected. Both are useful, even necessary, provided we understand their function and use each at the appropriate time and place. I said that the “I” is a projection, an outpost of the Self. And there is a permanent connection between the two, through which energy can flow. When a good measure of genuine personal self-awareness is reached, then there are streams of energy which flow from the Transpersonal Self to the “I”. This, again, is different from the energy which comes from the superconscious levels, for they bring no specific contents or intuitions. They are intimations from the Transpersonal Self and are experienced as intensification of self-awareness. So this experience gives an acute sense of self-awareness accompanied by a sense of bliss. Sat Chit Ananda. “Thou are that”. For the Transpersonal Self is reality; it is of the same nature as the Universal Reality. Therefore its energy is charged with power and bliss, without any definite content. For this reason the ultimate reality to which it belongs has been described in terms of purity. This is the absence of specific quality, which is arrived at through the harmonious synthesis of all qualities (just as white light, the absence of colour, is the combination in right proportions of all colours). It is the void in a positive sense, the “Suchness of the Void”, a void which contains all life, to which everything belongs, and in which all is combined. This is the true contact with the Self. All the rest is contact with the superconscious. The Self is without dimensions; it is both a geometric point that occupies no space; it is both zero and infinity, the “Laya Point”, Aristotle’s “Unmoved Mover”. And it radiates beams of energy, emanates an energy field. An aspect of this energy reaches the superconscious. Another reaches the “I”. The relationship between the Self and the “I” is a direct one, in which the Superconscious is not involved. One must learn to pass through the realm of the superconscious without looking right or left, so to speak, and that is very difficult, because it is so enticing, and understandably so. But one must remember that its charm can constitute the “Higher Sidetrackings” of which Maslow talks about. .
On the other hand the superconscious is of utmost importance in our development, and its vital place needs to be appreciated and understood, because parallel to the increasing intensity of the realization of self-consciousness – which can be considered an ascent, or progress along a vertical dimension – there needs to be experience, expansion, and expression at all levels, along the horizontal dimension. Even at the personality level we don’t, nor should we, live in the pure self-consciousness of the “I”. The “I” creates its personality. Personal psychosynthesis is just that – the creation of a fully harmonized and integrated personality by the “I”, the personal self. The “I” must be able to express itself at all personality levels, must use all the energies and functions without forced identification with any of them, being free to be either fully disidentified or partially identified with anyone function or group of function, at any moment and at will, according to its own purpose. The personal self along the way of unfoldment and growth has to make use of its qualities, to express its power, its will, and to pervade the little universe of the personality while remaining at the center. In a similar way the Transpersonal Self on its own level must use the superconscious as its vehicle of experience and expression, as a means through which its energy is “transformed” or “stepped down” into a form that can be utilized by the personality. Such stepping down or transformations of energy are quite common, in nature and in man-made devices alike. Electric transformers and the gear shift of automobiles and bicycles fulfil just such a function. In nature, when the powerful and lethal high energy radiation (gamma rays and x-rays) emitted by the Sun reaches the upper atmosphere of the Earth; it interacts with free electrons a process called Compton Effect – and is stepped down into the visible light and heat which is vital to the biological world. This is the normal course of evolution, a course that leads to increasing health and wholeness. Just as highly developed superconscious process without commensurate development of the sense of self can be overpowering, and lead one to be “swept away”, and in extreme cases to regression into the mass consciousness, so a premature, inrush of energy directly from the Self, without the capacity to channel the energy into and through the superconscious can produce imbalance and disorientation, and in extreme cases even psychosis. The intensity is too high, and the means to understand and assimilate the experience in relation to everyday awareness, and act accordingly; are not available. The experience of the Self remains unconnected. This can cause a most painful sense of split, and of lack of understanding, or of lack of means of expression in the world – almost as being handicapped. In extreme cases there can be rejection of the everyday world as non-real. This is a basic experiential confusion: the world is real. What is non- real is our perception of it, as physicists have proved at the beginning of the century. They have shown that what we perceive as solid matter is really almost completely empty space, in which atoms – themselves whirlpools of energy – interact at distances proportional to the stars in our galaxy. At the opposite pole, there can be a confusion of levels where after the experience one believes that he is still identified with the Self when he has actually “descended” once again to the level of the “I”. This can cause “ego inflation”, feelings of omnipotence, and in extreme cases the individual who, speaking from the personal self says “I am God”, thus ascribing to the “I” a spiritual nature that properly belongs to the Self. But when parallel to the reaching upward toward the Self, the superconscious functions and processes are also developed, and there is a safe; healthy, and immensely fruitful path through which the energy can flow. Then one can use compassion and wisdom, as well as strength, power and will: the strength and the power to express compassion according to wisdom; the wisdom and compassion to use power for the greatest good! C. G. Jung, Contributions to Analytical Psychology, Harcourt, Brace, New York, 1928 p. 147. See “Identification Exercise”, Psychosynthesis Institute, Redwood City, Calif.; Also R, Assagioli, Psychosynthesis: A Manual of Principles and Techniques, Viking, New York, 1971, particularly pp. 116-125. Sarvepalli Radhakrishnan “Human Personality”, in Clark Moustakas (Ed,), The Self, Harper and Row, New York, 1956, p 118. A. Maslow, The Farther Reaches of Human Nature; Viking, New York, 1971, p. 277. R, Assagioli, supra note 3, chapter 9, “The Transpersonal Will”. R. Assagioli; Psychosynthesis: A Manual of Principles and Techniques, Viking, New York, 1971, pp, 208- 211. R. Assagioli, supra note 3, Appendix II, “Meditation”. See “Evoking and Developing Desired Qualities”, Psychosynthesis Institute, Redwood City, Calif.